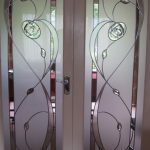 Bevelled glass pieces are small pieces of hand shaped glass and they are bonded to toughened glass to create beautiful artistic designs and patterns for windows and doors. There are hundreds of stock patterns to choose from and with the addition of diamonds, squares, rectangles and tear drops, the limitations of design are truly endless. 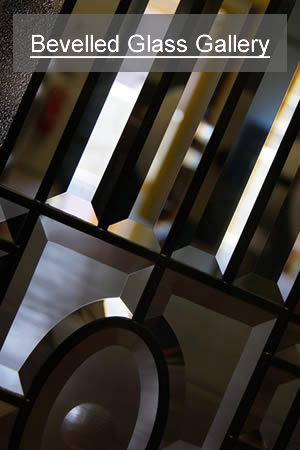 Bevelled glass is one of the most popular forms of decorative glass today and the Leadbitter Glass studio creates bevelled glass panels for customers around the UK and the world almost every day. 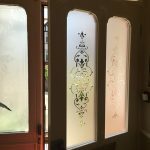 Our bevelled glass designs can be combined with stained glass overlay borders and centres to create stunning doors and windows for your home or business. 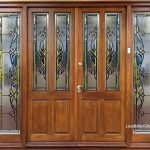 Leadbitter Glass has created many custom bevelled designs for clients front doors and landing windows through the years which have become the focal point of the home. Combining Gluechip textured bevels with a Gluechip background overlay produces a beautiful effect that can only be appreciated when seen ‘in the flesh’. 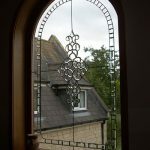 As stated we have literally hundreds of bevelled glass clusters and shapes to choose from in our standard ‘off the shelf’ range but we can also supply custom bevelled glass to your exact drawings or original glass. 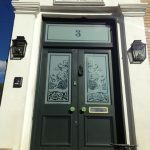 This service is ideal for customers wanting logos or looking to create a window or door from a photo they have seen on the internet. 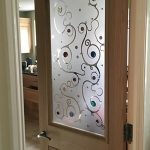 We have created many designs from customers own photos through the years and our custom bevelled glass service has helped us create unique and original glass designs for doors around the UK. 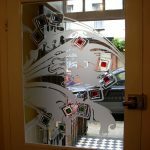 Contact the studio on 01536 205777 to enquire about custom bevelled glass. Feeling a little bit creative? 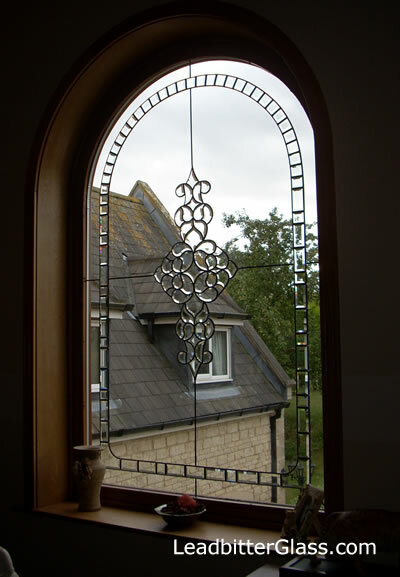 Why not dream up your perfect bevelled glass door or window design by selecting bevelled glass clusters and shapes from our extensive bevel library. There are literally hundreds of different bevelled glass pieces featured in the gallery for you to choose for your new window or door. If any of the clusters or shapes appeal to you, we can create a computer generated glass panel image using your chosen bevels and borders and we can create this image in your exact glass sizes. Contact the studio now to find out more about this unique design service. All bevels featured in the bevel library come with exact dimensions in mm so you will know straight away if your preferred glass bevel will actually fit in your specific glass sizes. Click here to view the bevel library. 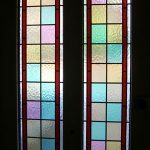 What are the benefits of todays bevelled glass? Although the manufacturing technique has changed over the years, the materials have stayed basically the same. 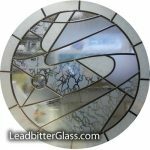 As explained above, beveled glass is created using hand made beveled glass clusters assembled together onto one piece of glass (usually toughened glass) to create a beautiful design. 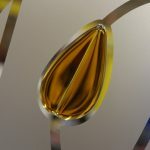 The modern procedure has many advantages over the original bevelled glass technique. 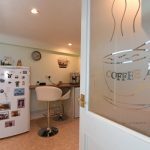 Again energy saving is a big concern in todays world and with the bevelled glass design being manufactured onto a single sheet of glass, this reduces the possibility of the cold weather coming into the home through the joints of the design. Durability and security are another advantage with this bevelled glass technique. 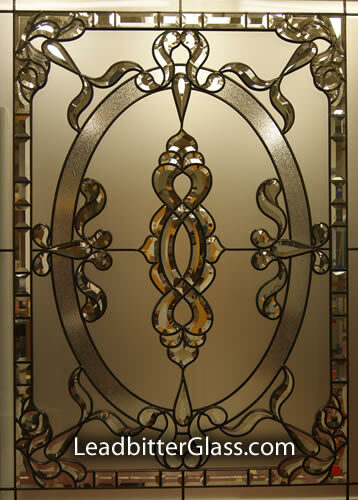 Assembling the bevelled glass clusters onto toughened glass provides long lasting and secure decorative glass. Some bevelled glass clusters can be ordered in bronze, blue or green coloured glass. All bevels can be ordered in clear glass. 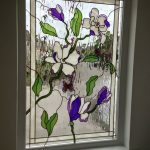 This Victorian style bevelled glass panel was created by Leadbitter Glass in 2010 and it is constructed using over 130 individual bevelled glass pieces. The panel measures 870mm wide x 1200mm high and was finished using aged 6mm lead.